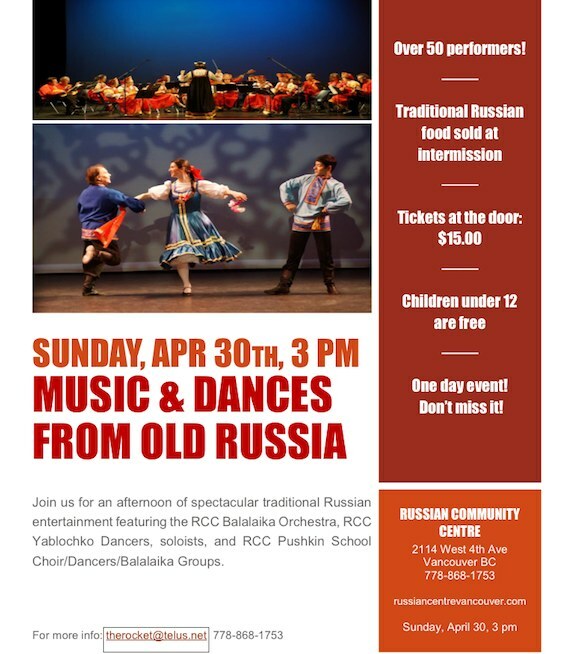 The Russian Community Centre of Vancouver is proud to announce our annual concert featuring the RCC Balalaika Orchestra, Yablochko RCC Dancers, Slava Alexandrov – balalaika soloist, Elena Razlog – operatic soprano, as well as the RCC Pushkin School dancers, choir and musicians. Over 50 performers! 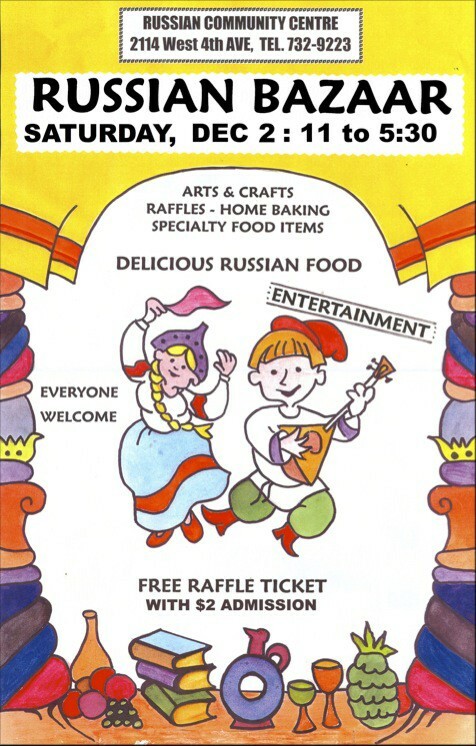 We will also be selling authentic Russian food during intermission. Tickets: $15.00 general admission. Children 12 years and under are free. We hope to see you at our concert! 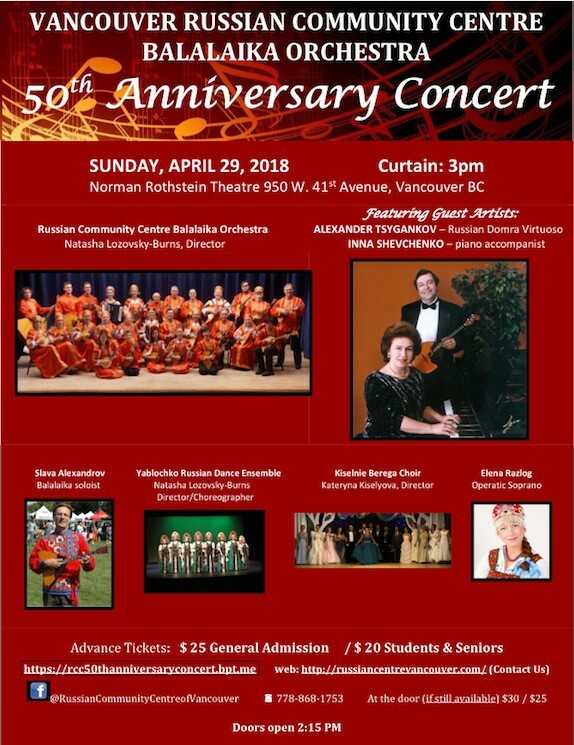 The Russian Community Centre of Vancouver is proud to announce the 50th anniversary of the RCC Vancouver Balalaika Orchestra. 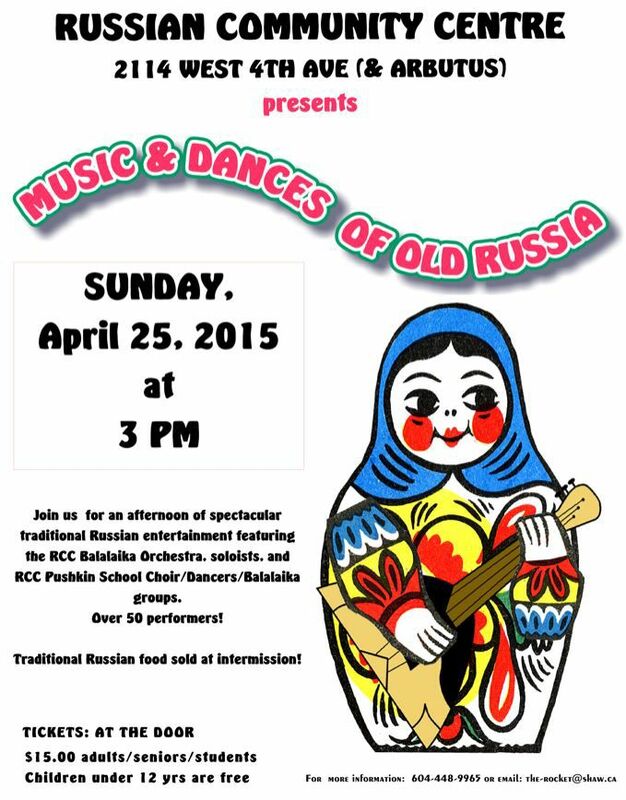 Come join us for an afternoon of spectacular Russian folk entertainment! We have special guests arriving from Russia: Alexander Tsygankov, prima domra virtuoso with Inna Shevchenko on piano. They are incredible musicians and we are very lucky to have them participating in our concert. 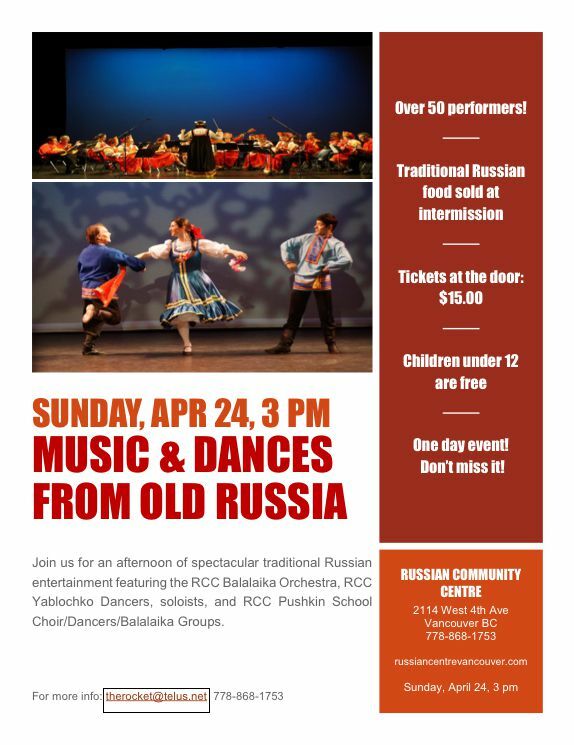 Featured also are the RCC Balalaika Orchestra, Yablochko RCC Dancers, Slava Alexandrov – balalaika soloist, Elena Razlog – operatic soprano, as well as Kateryna Kiselyova and Kiselnie Berega Choir. Over 50 performers! 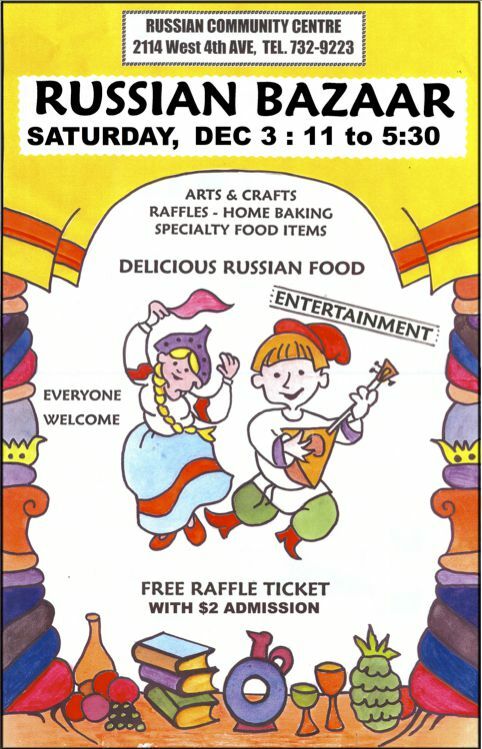 We will also be selling authentic Russian food during intermission as well as Russian souvenirs provided by Russian World Store. Tickets: $25.00 for adults, $20.00 for seniors and students. Please click on the link below to purchase tickets in advance. 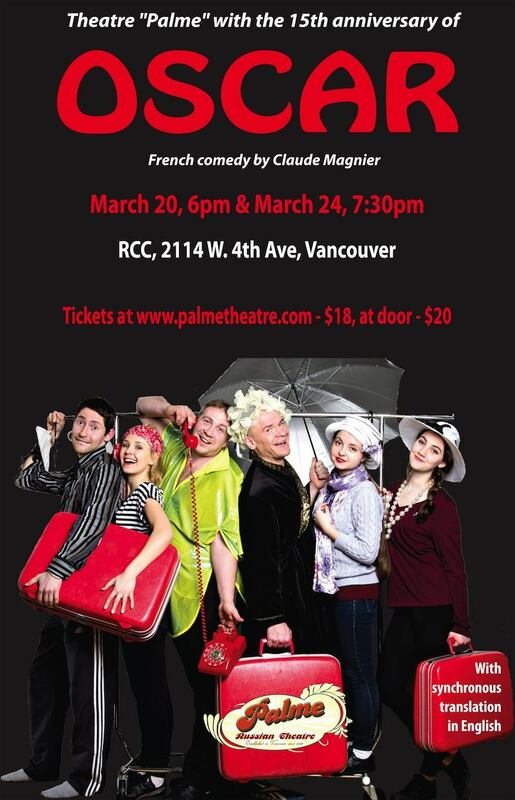 At the door, tickets will be $30.00 for adults and $25.00 for seniors/students - pending availability. 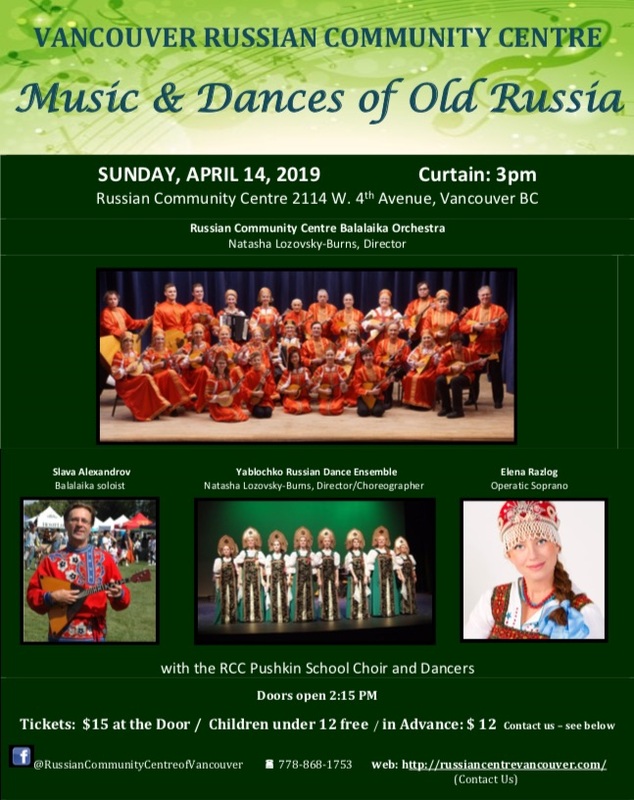 © Russian Centre of Vancouver 2019.